There has recently been some talk on the net about a possible Acura TSX Coupe or TSX-based Coupe originating from an autoweek.com story. Though it states Acura has no official plans to build it, we can all still wonder how it would look. I did a quick two hour photochop of the current TSX and removed the rear doors. Aside from the poor job I did on the rear quarter panels, I think it turned out alright. Perhaps a few minor styling upgrades to give it a more sportier look than the sedan and we might have a winner. Though I speak of the design only, I’m sure everyone has their wish list of things the TSX Coupe should have. 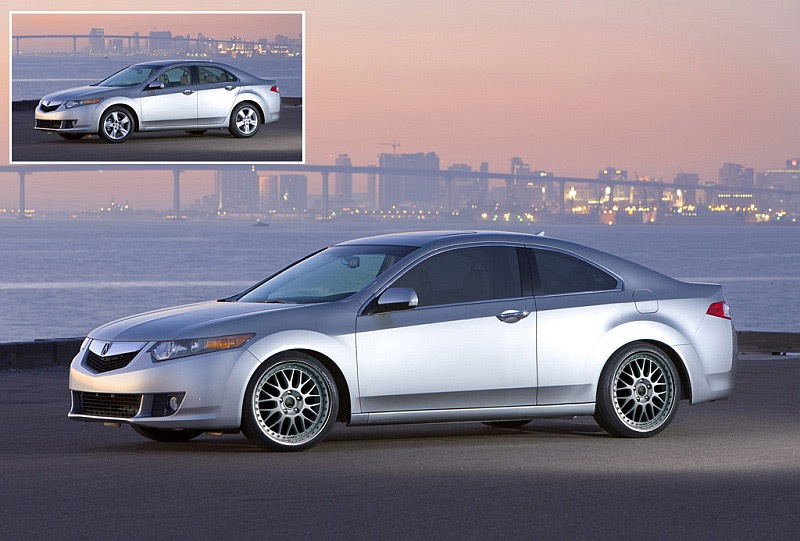 I also found another good photoshopped TSX Coupe from a AcuraZine thread a few months back. If someone knows who created it let me know. Nice photoshop! It doesn’t look bad at all. If this had AWD I might consider it. A V6 SH AWD Acura Coupe… I like the sound of that. Yeah I kind of like this. The Autoweek article is a bit sketchy though. “The sedan version of the TSX offers awd and a V6 option.” umm no. And what does it mean that Acura is considering it, but has no plans. You can say they are considering a new NSX too but so far no plans lol. Could be sold all over the world as the Honda Accord Euro coupe. 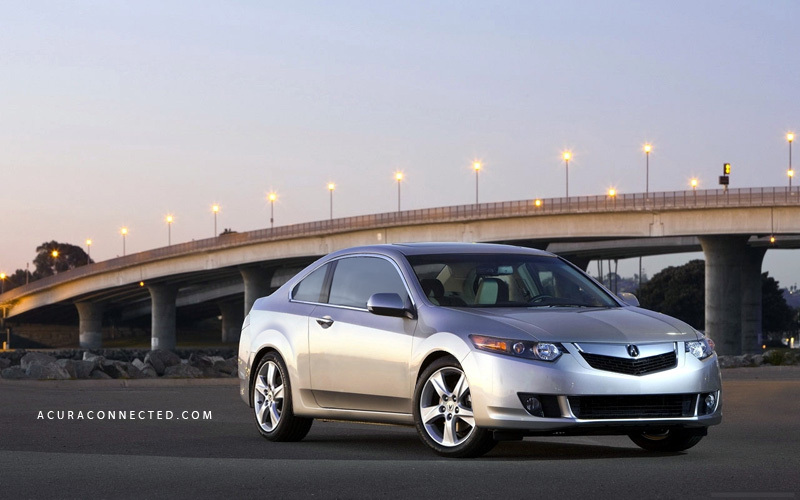 The Acura TSX is a really nice mid-size sedan, I would be very excited to see a coupe version come out. With the new body style that just dropped I’m sure it would look amazing. This would be essentially the same car as the Honda Accord EX-6 Coupe. But until they get rid of that buck-toothed grill, nothing is going to go well for any new Acura. No offense guys but there would truly be no point at all in this. I’m a proud owner of both the 1st and 2nd generation Cl’s. If Acura should bring back a coupe at all they should bring back the Cl. Truly a great vehicle offering the perfect combination of luxury and performance. Reading this is just upsetting to think Acura was so foolish as to have discontinued such an awesome vehicle! I refuse to purchase another Acura based solely on this.